Hey everybody, we just launched more updates to Morces platform. We have added 3 more useful widgets for our users! 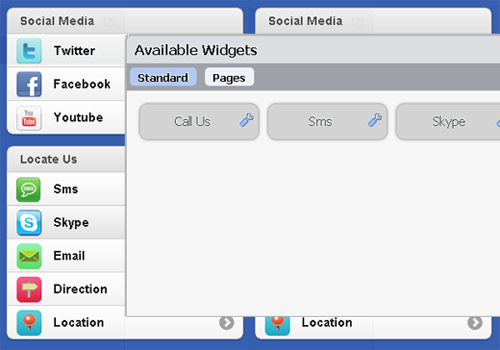 To activate the widgets, you can simply drag and drop from our widget section. Below is the details of each widget and how you can use them. User can contact you via SMS/Skype. This is similar to the "Call Us" widget, just that it's SMS/Skype. For the skype widget to function well, users will need to have skype app installed in their smartphone. Clicking on the skype widget will activate their skype app. The SMS/Skype widget gives your mobile visitors an option to instant message you. This option is useful in scenarios where your line is currently being engaged and your mobile visitors want to contact u fast. In addition, it is ideal for invidudals/small businesses who are soliciting businesses using sms/instant messaging. 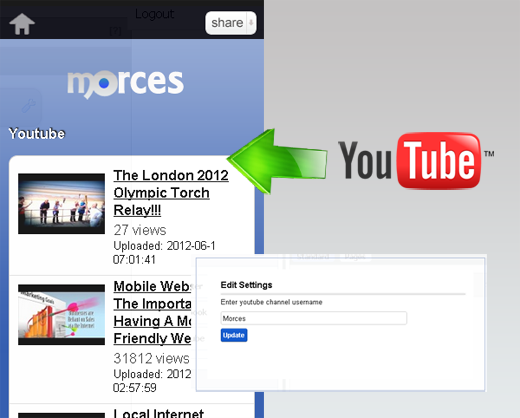 You can display your youtube channel videos with just a single configuration. In the widget section, click on the "tool" icon on Youtube widget and enter your youtube username. This youtube widget can help you showcase your videos.